Partner and head of Carey’s Corporate / Telecom Group. 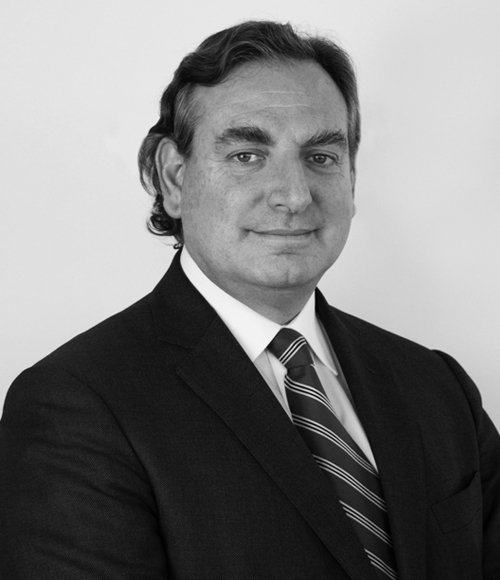 His practice focuses on corporate and business law, financing, mergers and acquisitions to the regulatory and transactional aspects related to the telecommunications industry, including the Telecom law and regulations, concessions, licenses and permits, and state contracts. Mr. Silva has been appointed representative and/or board member of several multinational companies operating in Chile, including banks. Motorola Solutions Chile on the regulatory aspects of the implementation of the National Emergency Communications Network and of a 911 system in Chile. Endesa Chile on the sale of its 20% stake in GNL Quintero to Enagás Chile, for USD197 million. WOM on all the corporate, regulatory and antitrust aspects related to its mobile telephone and trunking operations in Chile. British Telecoms on all the day-to-day and regulatory aspects related with its activities in Chile, including electronic signature queries, applications for telecoms concessions and amendments of the same, analysis of contracts for the provision of several services, advice on legal interception and data retention matters. WOM on all the aspects related to its administrative challenge of the technical rule issued by the Undersecretary of Telecommunications (SUBTEL) in connection with the frequency band requirements to be fulfilled by all handsets to be commercialized in Chile, its certification process and publicity requirements. Motorola Mobility on the process of certification of several handset models to be operated and commercialized in Chile. Nextel Chile on all corporate, commercial, financial and regulatory aspects of its 3G telecom project in Chile. Nextel Chile on all the aspects related to the telecom antennas law (Ley que Regula la Instalación de Antenas Emisoras y Transmisoras de Servicios de Telecomunicaciones). Motorola Solutions Chile in connection with the Chilean government’s project to create a national emergency communications network capable of operating in catastrophic or emergency conditions. This project has been considered of high priority for the Chilean national interest due to the consequences of the 2010 earthquake and the subsequent tsunamis. Enersis, main business unit in Latin America of Spanish company Endesa, the largest electric power company in the world, on a USD6 billion capital increase, the largest ever in Chile. Aegis Media on the acquisition of a majority stake in Triángulo Publicitario. Recognized as Lawyer of the Year in Communications Law. Best Lawyers (2019). Recognized in Telecommunications and Media, Chambers Latin America. Recognized in Telecommunications and Media, Latin Lawyer 250. Recognized as Best Individual Lawyer in Telecommunications, Client Choice Guide (2017). Recognized in Telecommunications and Media, The Legal 500. Recognized in Telecommunications, Corporate and M&A and Thought Leaders: Global Elite and Data 2019, Who’s Who Legal. Recognized in Telecommunications Law; Corporate and M&A, and Technology Law, Best Lawyers. Vice-President and Latin America Forum Liason Officer, Communications Law Committee, International Bar Association. Member of the legal committee of the Chilean British Chamber of Commerce. Member of the board of the Chilean Direct Selling Association (since 1994). Member of the Chilean Bar Association (since 1988) and member of its Ethics Committee (2009). Member of the Cambridge Society of Chile (since 1993) and director of the same (2009-2016). Visiting Professor of the Master of Informatics and Telecommunications Law, Universidad de Chile (2005, 2007 and 2009). Assistant Professor of Administrative Law, Universidad de Chile (1985). Author of the Chilean Chapter of Getting The Deal Through – Telecoms and Media (since 2000). Co-author of the article “Analysis of the New Chilean Telecoms Regulation on Multiband Homologation and Certification of Mobile Devices”, Communications Law Newsletter, International Bar Association (2017). Co-author of the article “International Roaming: Should it be regulated by NRAs and its cost reduced?, Communications Law Newsletter, International Bar Association (2016). Author of the article “New Communications Antenna Law in Chile”, Communications Law Newsletter, International Bar Association (2013). Co-author of the article “The New Telecoms Antenna Law”, Chilean Legal Report, Chilean-British Chamber of Commerce (2012). Co-author of the article “Amendments to Telecommunications Law in Chile”, Chilean Legal Report, Chilean-British Chamber of Commerce (2011). Active participant in the IBA Telecom conferences. LL.M., University of Cambridge (British Counsel Scholarship) (1993).